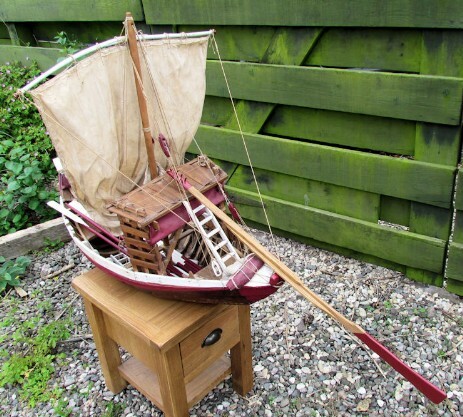 Our barco rabelo model restored just as much as it needed to be. These boats were used to transport barrels of port wine down the Douro river before the opening of the railway in 1888. The river, at that time, had many dangerous rapids and many lives were lost. Imagine trying to steer a boat like this loaded up with 50 or more full barrels. After the railway was opened, use of these boats diminished to the point where only 6 were left in the whole of Portugal. Nowadays, they are tourist attractions. 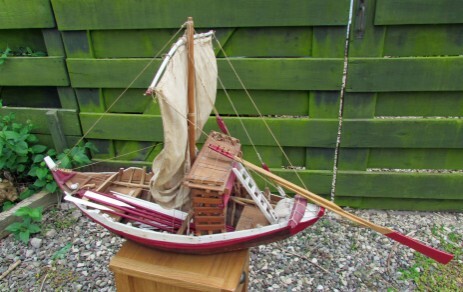 We don't know where this model came from, but it was made in the same way as the original boats. 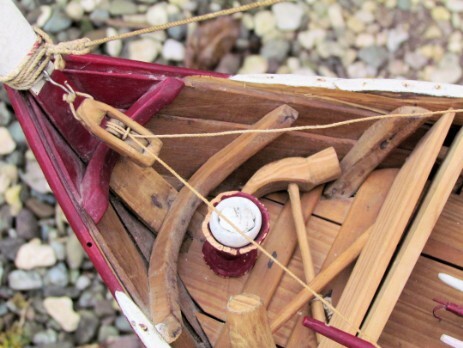 There are some charming details: the stove and cooking pot are present and all the rigging is there. Our restorer made a new rudder, which looks quite superb. 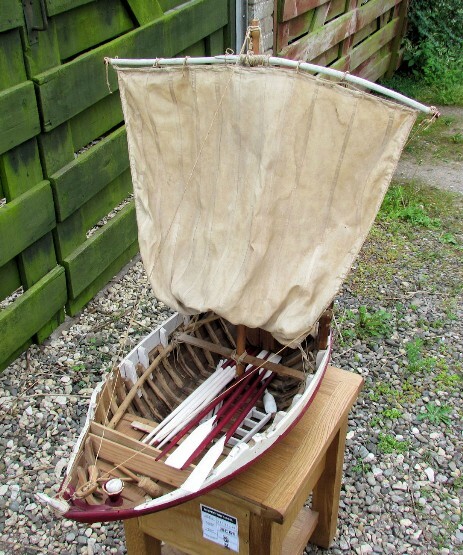 If you want to see a video and get more information on how these boats were made, click here. A more comprehensive text article with much interesting information may be found here.